Two of the weaker hitting teams in the league matched up in this one. The Phillies .395 slugging percentage on the season ranks them near the bottom of the majors and the Cardinals .416 mark also ranks them in the lower third of the majors. That said, even though the Cardinals Mike Leake and the Phillies Jeremy Hellickson have had some struggles, they are both fully capable of coming up with solid outings in this spot. Leake shutout the Phillies for 7 innings in his most recent start against them. Hellickson has held the Cardinals to 5 earned runs in 13 innings in his last two starts versus St Louis and both of them stayed under the total. 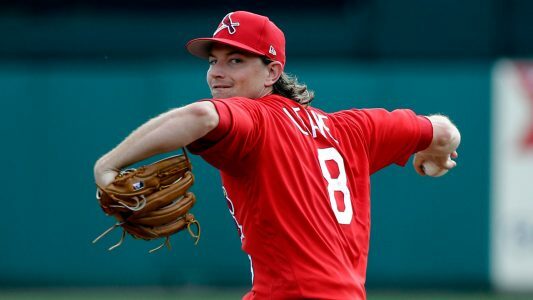 Leake actually has pitched better on the road compared to at home this season with a 2.95 ERA and 0.96 WHIP and a 4-2 mark in his 6 starts away from home this year. The under is 4-1-1 in those 6 Leake outings. Hellickson is off of a poor start in his most recent outing but he had allowed 3 earned runs or less in 10 of his 13 prior starts! Only 3 of Hellickson’s 14 starts this season have resulted in an over. The Phils come into this game having had just 2 overs in their last 11 games. The past 3 seasons combined the Cardinals have had 28 road games with a posted total of 9 or 9.5 runs and only 11 of 28 have resulted in an over. Take advantage of the big O/U posted on this NL match-up. Free Pick on UNDER the total in Philadelphia early Tuesday evening.